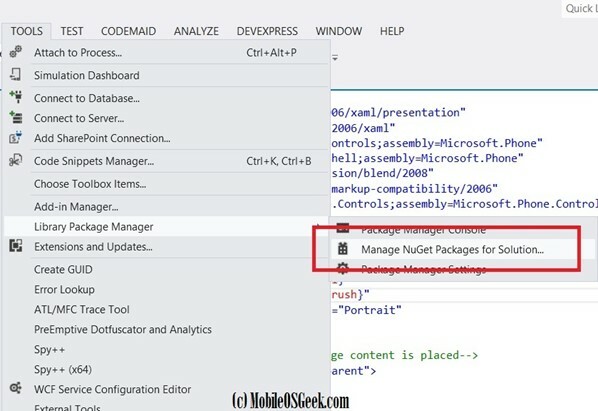 In our previous article, we saw how to install Windows Phone Toolkit using NuGet Package Manager Console by executing the install command in the console. How about installing the Windows Phone toolkit from the NuGet Package Manager by just a click of a button without worrying out remembering the command? This article will explain how to do it. Note: Ensure that you have the Nuget version >=2.1 for the Windows Phone 8 projects to avoid the below error when using it in the Windows Phone 8 project. 2. 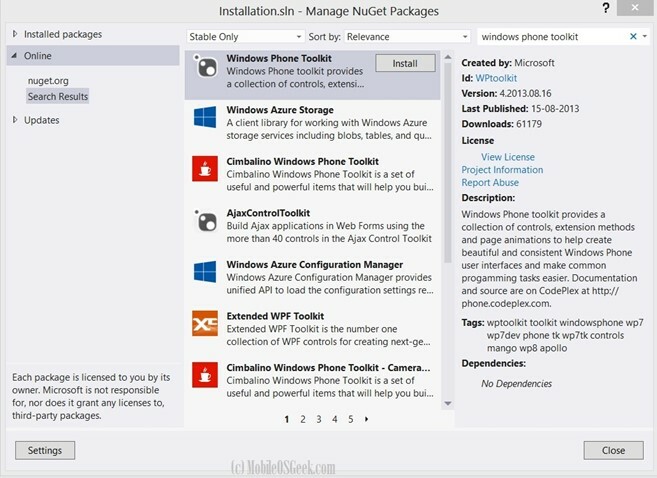 In the Manage NuGet Packages Screen, click the “online” link in the left sidebar and search for windows phone toolkit in the search bar and press enter key. This will list the Windows Phone Toolkit. Click the Install button. 3. Select the Project and click “OK” button. 3. 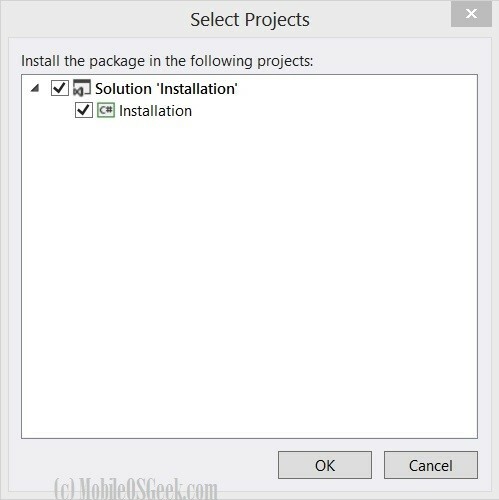 This will install the Windows Phone Toolkit and copy the necessary assemblies to your project’s packages folder. The Microsoft.Phone.Controls.Toolkit dll is now included in your windows phone project. To add use the components of the windows phone toolkit in the page, add the below namespace definition to the the XAML file.